Raz-Lee was a dazzling success at COMMON, demonstrating its new technologies to wide audiences including customers, the press and IBM. See how these leading companies use Raz-Lee's products to create value for their business and streamline their work process. 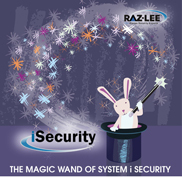 Raz-Lee's R&D team has released new cutting-edge technology products for Power i Security. FileScope with Full Unicode - FREE! FREE - FileScope File Editor with Unicode! Raz-Lee is now offering its market-leading feature-rich SOX and PCI compliant file editor, FileScope, with full Unicode (UTF-16, UCS-2) support for complying with international data standards. Unicode support is totally unique in the Power i data manipulation market and encompasses ALL FileScope facilities including Substring, Scan and Subset functions. FileScope is now being distributed for FREE! Have a look at our Product Demo Videos, which will demonstrate to you better than 1,000 words the value of our advanced features! * IMPORTANT - Please read the instructions below before clicking the links. Click one of the above links. On the right side of the webpage, in the "Downloads" box, right-click the link to the demo. Select "Save Target As" and save the WMV file on your computer (This may take several minutes). View the demo by clicking on the downloaded file. If you receive an error message, install the required codec by clicking the link "Click here to install the required codec for viewing the demo" on the webpage. 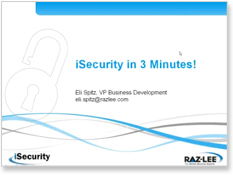 iSecurity can solve many issues that system administrators run into during everyday tasks. We had a problem where an important user profile was accidentally disabled and stopped an application from working. Is it possible for either iSecurity Audit or Firewall to alert us via email (or other means as well) if a specific user profile is disabled? View document to find out how.